Dogs prove time and time again that they are man’s best friend. Todd, a golden retriever in Arizona, is no exception. While on a walk with his owner, Paula Godwin, Todd spotted a rattlesnake on their path and quickly jumped between Godwin and then snake to protect her, the dog’s owner recalled in a Facebook post. Unfortunately, she said, the good boy was bit in the process. “This is what a hero looks like,” Godwin said online. Godwin quickly got Todd to the hospital in Anthem, Arizona, where he was treated for the bite, according to KPHO-TV. 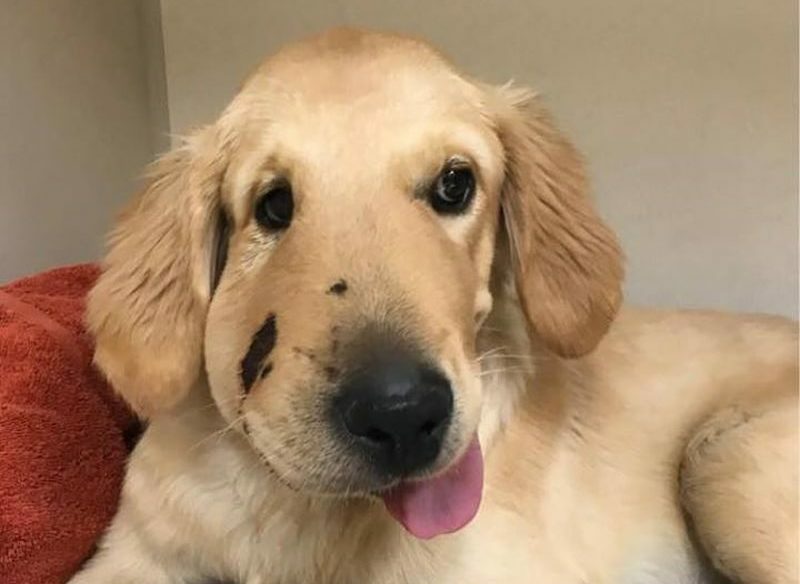 The good news is that despite some shocking photos of what happened to poor Todd’s face as a result of the bite, he was recovering well as of Sunday, Godwin shared in an update on Facebook.